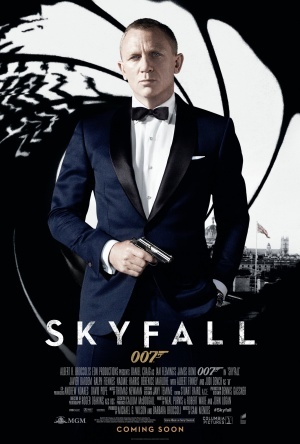 Skyfall is a superb movie; entertaining, witty, and spectacular visually. It’s the twenty-third installment in the James Bond series, marking the film franchise’s 50th anniversary when it was released in the UK on October 26, 2012. It’s widely agreed that the 007 franchise officially rebooted itself for the 21st century with 2006’s Casino Royale, the first featuring current Bond Daniel Craig. Fans of earlier Bond installments felt it alienated them – there was nothing classic about it. However, this edition contains plenty for newcomers to the series, and longtime devoted fans. Following a wonderfully shot motorcycle chase eventually accumulating atop a train, James Bond (Craig) is assumed dead, but is revealed to be, well, alive just in time for M (JUDI DENCH) to assign him to track down the source of a hacked hard drive from MI6, the contents of which contained the classified names of all employed agents. It’s then linked all back to Silva (JAVIER BARDEM), a quick and clever Bond villain who has power and the henchmen to match it, ready to destroy MI6 at any moment. Also in this series is a new Q (BEN WHISHAW), a mysterious field agent, Eve (NAOMIE HARRIS), an elusive Bond girl named Severine (BERENICE LIM MARLOHE), and a supervisor whom Bond dismisses as a bureaucrat, Gareth Malloy (RALPH FIENNES). If you skip some off pacing at the beginning of the last third of the film, it’s well paced, keeping your attention at various degrees, but mostly strong, for all 142 minutes. The cinematography from Roger Deakins is stylish, using up every bit of the 2.35 frame. Thomas Newman finds ways to throw the iconic classic 007 Theme into his musical score, Sam Mendes’ direction creates a proper mood, and the screenplay by Neal Purvis, Robert Wade, and John Logan is cleverly written. Craig, Dench, and Bardem especially shine in their roles, with everyone else somewhere on the road between good and very good. However, few of those things would matter as much without the extremely well done visual effects placed throughout this movie. Every well and good on and offscreen work here works together to create a wonderful cinematic experience. Definitely one of the strongest installments in the series of the 21st Century, Skyfall is a perfect way to introduce the James Bond series. This concretes Daniel Craig as a solid actor within the series, and shows the 007 franchise still has a few tricks up its sleeve in this love letter to fifty years of shaken martinis.